Helping your kids survive divorce, what to say and do. 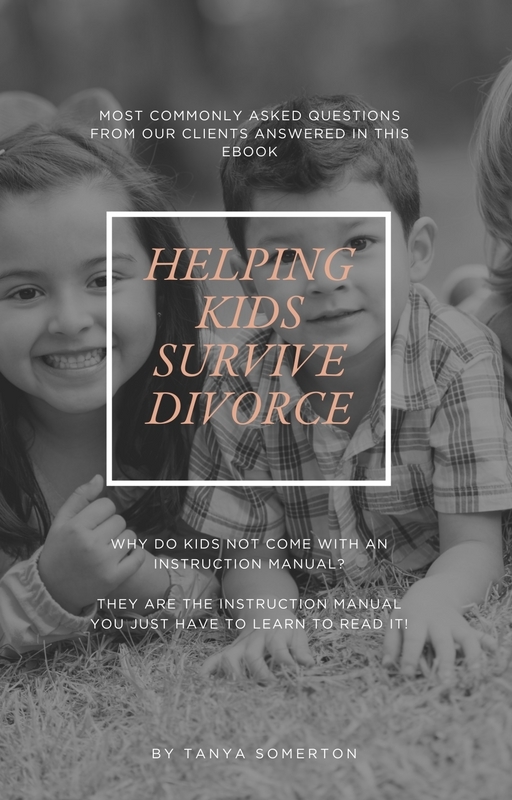 Helping kids survive divorce. What to say and do. Some children will cope and show little response to what is happening in this environment. Others will struggle from day one. Handling the kids with love and respect with opened communication the only way forward. In this ebook, I have consulted one of our child psychologist, who works in my business and helps families deal with such stresses. We have tried to address the regular questions we get asked from our clients to help kids during their parent’s divorce. Divorce is such a life-changing event for both adults and children. For we adults, we can try and control the situation as best as possible, but sometimes circumstances happen which we have little control over and can leave lasting effects on our children. Knowing how to talk about and deal with such events can make us uncomfortable. When becoming a parent, there is no university or college degree or instruction manual provided; we learn from our parents, those around us, our gut feels at the time and experience. Mostly dealing with our own emotions and temperament at the same time.